Following on from the very well received and continually expanding ‘Affordable Quality’ range, Brindisa briefed us to develop their own label packaging style to adapt to their new ‘Affordable Luxury’ range. 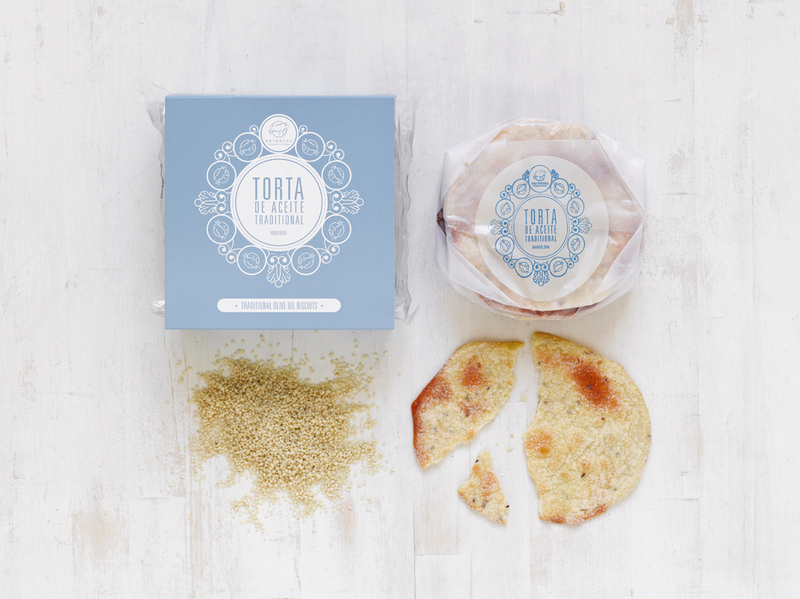 The product’s focus being on traditional, delicate Spanish biscuits and cakes - everyday treats. Using the existing own label packaging as a base style, we developed a defined style for the new range which would still be recognised as part of the Brindisa own label family. The tradition and stories behind the products in the new range inspired further communication opportunities. Looking to traditional Spanish ornamentation, we developed a decorative pattern involving the renowned Brindisa logo to visually differentiate these items as an ‘everyday luxury’ product. The colours were inspired by the warm, Spanish Brindisa pallette but softened to convey the delicacy of the products. Following on from the very well received and continually expanding ‘Everyday Essentials’ range, we developed their own label packaging style to adapt to their new ‘Affordable Luxury’ range. The product’s focus being on traditional, delicate Spanish biscuits and cakes - everyday treats. Using the existing own label packaging as a base style, we developed a defined style for the new range which would still be recognised as part of the Brindisa own label family. The tradition and stories behind the products in the new range inspired further communication opportunities. Looking to traditional Spanish ornamentation, we developed a decorative pattern involving the renowned Brindisa logo to visually differentiate these items as an ‘everyday luxury’ product. The colours were inspired by the warm, Spanish Brindisa palette but softened to convey the delicacy of the products.